Fitness wearables have come at a day and age where time is a valuable commodity. People are doing more things at a faster rate; multi-tasking has become a by-word. Ironically, technology which has the primary purpose of making things easier and more convenient is the culprit. In the process of accelerating the rate of doing things, we are able to do more in the same amount of time. It is only proper that technology through fitness wearables is influencing our health and fitness programs. If you are from Generation X or those born from 1966 to 1979, your idea of a fitness wearable would be a stop watch feature in your analog wristwatch. Those from Generation Y; the Millennials who were born from 1980 to 1994 are more tech- savvy and can appreciate the value of fitness wearables. Many were already of age when the smart devices came out. The new age of fitness wearables will find a huge market with Generation Z or those who were born from 1994 to 2012. Despite the gloom and doom forecasts on the future of fitness wearables as far back as two years ago the industry is still going strong. From a US$15Million global industry in 2014, the fitness wearable industry generated US$20Million in 2015 and in expected to hit US$30Million in sales revenues in 2016. By 2018, the fitness wearable industry is forecasted to achieve US$60 Million in global sales. In 2018, many from Generation Z will be of working age. Fitness wearables are devices designed to measure, track, organize and calculate activities that support fitness-related programs including workout programs and diets and which can be worn by their users. An argument can be made that the first incarnations of fitness wearables were the analog watches with the stop watch feature popularised in the 1980’s. But the fitness wearables in the new millennium are classified as by-products of smart technology. The innovation which paved the way for fitness wearables was the 2006 collaboration between Nike and Apple. The Nike + iPod Sports Kit consisted of a transmitter device inside a Nike shoe which could communicate data and information with Nike + Sportsbands and Sportswatches and with higher level iPods and iPhones. Today’s most popular fitness wearables are those worn around the wrist such as smart watches and fitness trackers. The most popular brands are Samsung, Pebble, Apple, FitBit, Sony, Lenovo and LG. How Do Fitness Wearables Work? Many of today’s fitness wearables particularly the ones worn on the wrist work through an accelerometer that measures acceleration at three axis points. These axis points are the start of the motion, the end of the motion and its intensity. An accelerometer is composed of two (2) electrically charged plates and a small counter- balance located between the plates. At rest, the counter- balance of the accelerometer is in the middle. When you begin moving, the counter-balance starts to shift from one plate to the other and the sensor records the motion. How these data are gathered and analysed will depend on the devices’ algorithm. Each device has its own algorithm. 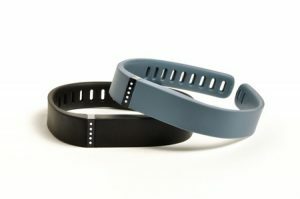 Some fitness trackers only count steps while others such as Nike’s FuelBand convert data into their own units and calculate calories and other fitness information. Manufacturers regularly test data collected by their technology with those from their competitors. This is to ensure accuracy and precision of all data gathered and analysed. How Do Fitness Wearables Influence Your Health And Fitness Program? Fitness wearables are able to influence health and fitness programs because it gives its user access to data and information valuable to track their performance. Regardless of your fitness goals and objectives or the type of exerciser you are, a fitness wearable will serve its purpose. You will know the amount of work done; total calories ingested and even the execution of proper technique. These data are far ahead and valuable compared to just recording time recorded per distance elapsed. Thus, even if there are discrepancies between fitness wearables, there are bases for improving, adjusting or refining the health and fitness program. The availability of real time data will help keep its user on course in attaining his or her objectives. Why Should I Use A Fitness Wearable? • Motivation – Similar to a training logbook, knowing what your fitness objectives are for the day is enough to get you fired up for the challenges that lie ahead. And these devices can be pricey! Buying one should be considered an investment on health that will pay out dividends over the long haul. • Discipline – Most people will agree that the most difficult part of a health and fitness program is the diet. Fitness wearables have the capacity to track you calorie consumption, measure your required macronutrients and calculate a meal plan for the day. It will go a long way in keeping you within the parameters of the diet. • Performance – Even if variances exist between fitness wearables, the important thing is that physical activity is being undertaken. You can track your distance covered under a specific time and use that as a benchmark to beat the next time. Everyone regardless of sport and fitness orientation will benefit from these data. Fitness wearables make training more efficient, effective and productive. What Are The Best Fitness Wearables? 1. Misfit Ray – This device tracks your steps, calories burned, quality of sleep plus the unique quality of tracking different activities such as swimming, yoga and soccer. It has a very elegant and stylish design that makes it compatible with sophisticated evening wear! 2. X Metrics Fit and Pro – Whereas most fitness wearables were designed primarily for running, X Metrics Fit and Pro focuses on swimming. Using real-time audio feedback, swimmers will have access to data to analyse their technique. 3. FitBit Blaze – This is the latest incarnation of FitBit and combines a fitness tracker with the functions of a smart watch. In addition to its standard features, FitBit Blaze has a Personal Trainer application which coaches you during workout sets plus gives you updates on calendar appointments and messages! 4. Moov Now – Your wrist-based personal trainer, Moov Now covers a wide range of physical activity from running, swimming, walking, biking and boxing. It will coach you, calculates your ideal number of sets and reps and gives you detailed workout summaries. 5. Garmin Vivoactive HR – This fitness wearable is designed for both outdoor and indoor use. 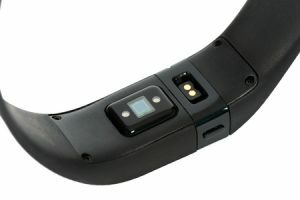 It has a GPS feature which means it does not have to be constantly connected to a smart phone device. Similar to FitBit Blaze, it can also double as a smart watch. The demand for fitness wearables will continue to rise commensurate with the increase in demand for smart phones. Future generations will grow to be increasingly dependent on technology because the focus will be on the efficient maximisation of time. Regardless of how far technology advances, it can never control time. We’ll always have 24 hours in a day. Technology helps us manage our time for greater efficiency. With technology on your side, you’ll have more time for work and family. With fitness wearables, you’ll have more time for exercise!